A visual effects battle sword used in the production of Burr Steers’ surreal horror-comedy Pride and Prejudice and Zombies. 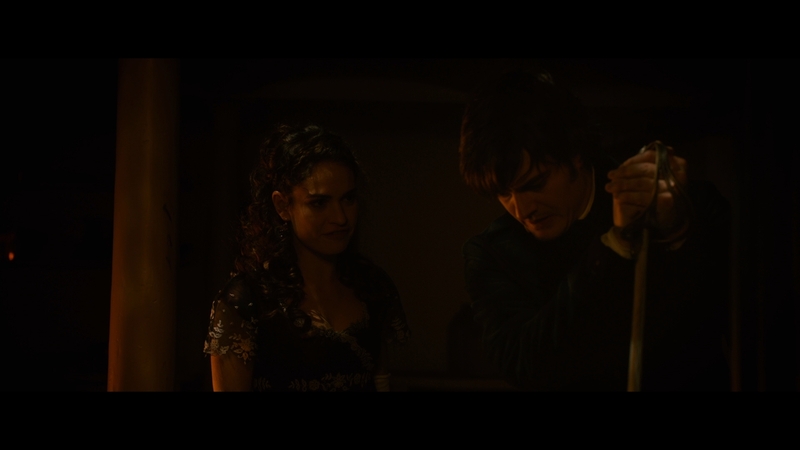 Raised in a 19th century England beset by a foul plague turning the living into the undead, Elizabeth Bennet (Lily James) and her kung fu-trained sisters deal with the trials and tribulations of English high society and the zombie apocalypse. 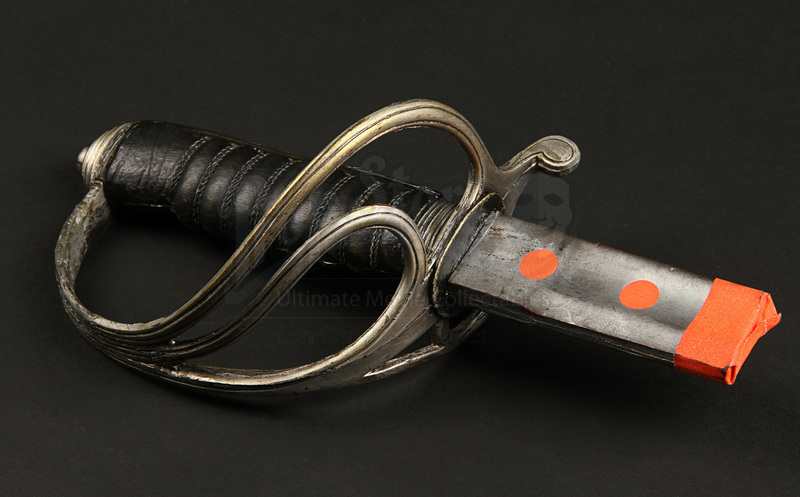 This battle sword was wielded by Colonel Darcy (Sam Riley) as he fought with the zombies beneath the home of Mr Bingley (Douglas Booth), saving Lizzy in the process. 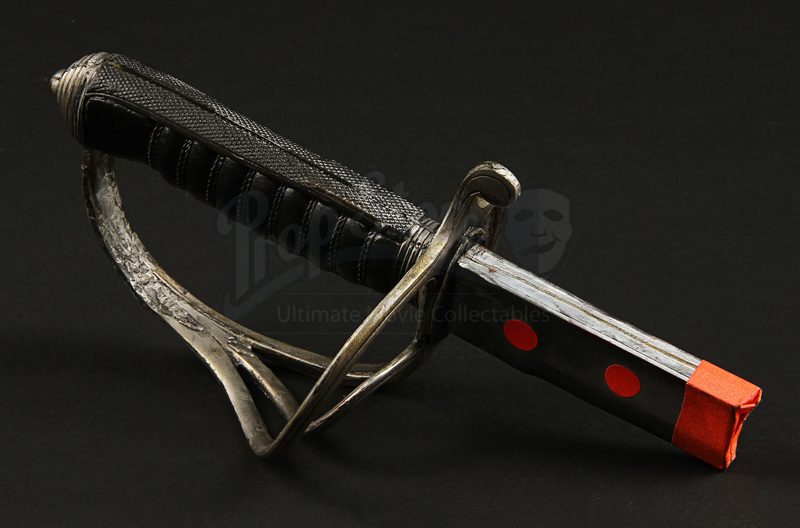 The sword is made of rubber, with the grip featuring intricately cast leather grip detailing. 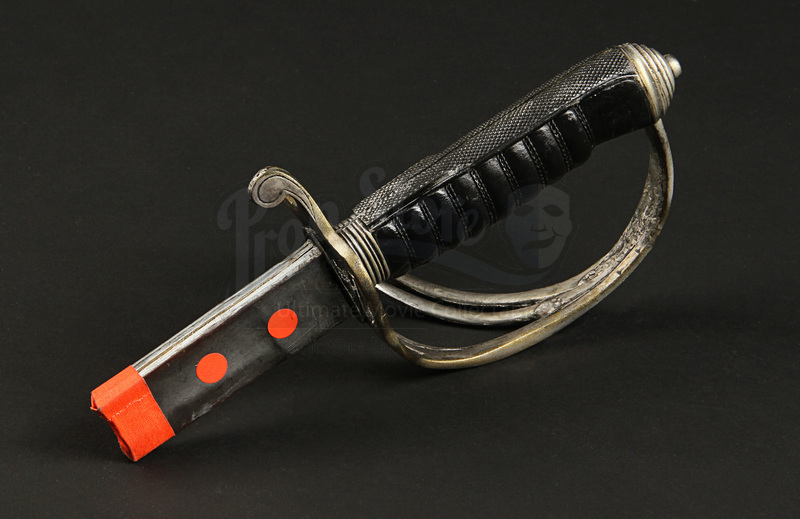 The piece is finished with black paint while the blade is finished to replicate the appearance of steel, with orange VFX markers applied forward of the grip. 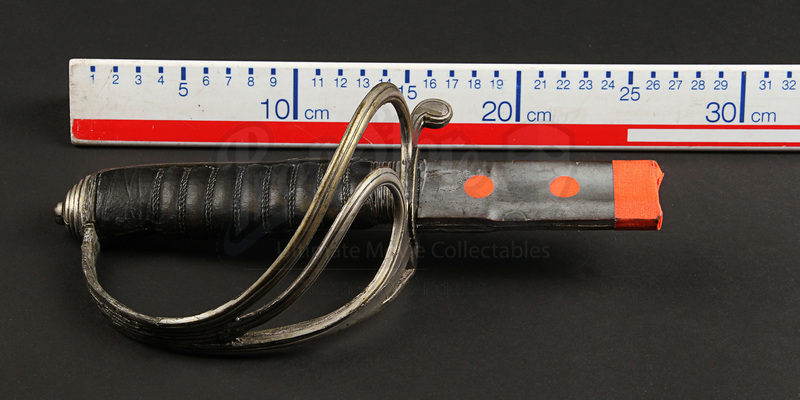 Displaying some wear from use in the film including signs of production wear to the paintwork, the piece remains in overall good condition.